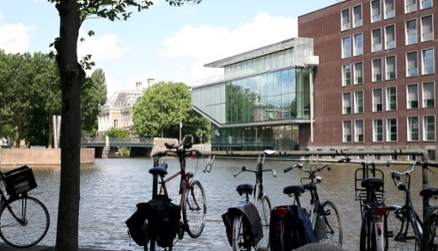 The Amsterdam MBA is a boutique MBA programme with only 25 students in the heart of Amsterdam, a vibrant and multicultural European hub combining long-standing business tradition with entrepreneurial spirit. Having a 96% job placement rate and strong focus on excellence, the Amsterdam MBA is a network- and teamwork-oriented programme with a unique personal touch. The Amsterdam MBA programme is designed for ambitious professionals and graduates who wish to pursue a career in the international business world. 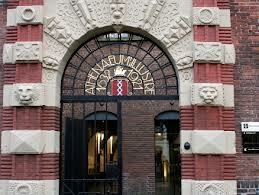 The Amsterdam MBA students are intelligent, daring, motivated and hardworking. They bring rich experiences of day-today professional expertise to the programme, providing a unique opportunity to share and learn. Their dedication and drive in the classroom set them up to become confident, inspiring and passionate leaders of the future. The curriculum of the Amsterdam MBA consists of four clusters that address key challenges for future leaders in business and society. In addition to having a profound knowledge of general management issues related to an organisation’s strategy and operations, top managers require exceptional leadership skills, a profound understanding of the financial side of their business and an in-depth knowledge of emerging trends that sustainably impact both the economic landscape and the broader society. Therefore, we defined four clusters: (1) Leadership, (2) Strategy & Operations, (3) Finance & Accounting, and (4) Contemporary Management Issues. The Amsterdam MBA is a unique experience in a vibrant environment preparing you for the challenges and opportunities in international business and strategy. Partly scholarships are being offered. Please contact [email protected] for more information. Stay updated. Get all social media posts of this program in your LEAP feed. Add this program to your shortlist. I agree to have my information sent to this institution and I am aware that the institution may reach out to me directly.